For any students completing their undegrad studies in UNSW Term 1, or external students finishing before June 2019, the UNSW Term 2 honours student application is now open. Deadline for Term 2 applications is 5pm Friday 12th April 2019. For how to apply please check the Faculty link: http://www.science.unsw.edu.au/honours-apply. Comparative genomics and molecular evolution in yeast, using long-read PacBio sequencing. We are particularly keen to get a student to work on aspects of our ARC Linkage grant, investigating the evolution of a novel biochemical pathway in yeast. More details of honours can be found on the BABS website, or please get in touch if you have questions about specific projects. We welcome students interested in any of our Research areas, not just the projects listed. Applications from non-UNSW students are also encouraged. What are we sequencing next? The waratah! Thanks to seed funding from the UNSW, we were able to sequence two rainforest tree species earlier this year in collaboration with the Royal Botanic Gardens and Domain Trust (RBGDT), Sydney. I am pleased to announce that, together with RBGDT and the Blue Mountains Botanic Garden, Mt Tomah, we won a bid to sequence one of the first genomes as part of the new Genomics for Australian Plants Framework Initiative by Bioplatforms Australia: the NSW state flower, the Waratah (Telopea speciosissima). As announced recently, this is one of three species selected for the initial pilot study. Details will be sorted out in the new year, but we will be looking to use a combination of 10x Genomics linked reads and long-read sequencing (PacBio and/or Nanopore). We’re still developing the genome size prediction and BUSCO comparison/compilation tools, so get in touch if either of these look useful to you. Poster #16. Åsa Pérez-Bercoff, Using structural variant detection to resolve difficult regions of a genome assembly. Poster #21. Kirsti Paulsen, Optimising intrinsic protein disorder prediction for short linear motif discovery. Poster #26. Katarina Stuart, Evolution in invasive populations: using genomics to reveal drivers of invasion success in the Australian European starling (Sturnus vulgaris) introduction across Australia. Poster #29. Chi Nam Ignatius (Igy) Pang, Benchmarking Protein Correlation Profiling datasets against reference protein complexes: case studies in S. cerevisiae. Poster #44. Susan Corley, QuantSeq 3’ sequencing paired with Salmon quantification provides a fast reliable approach for high throughput transcriptomic analysis. Poster #49. Xabier Vázquez-Campos, OTUreporter: an automated pipeline for the analysis and report of amplicon sequencing data. Many important cellular processes involve protein–protein interactions (PPIs) mediated by a Short Linear Motif (SLiM) in one protein interacting with a globular domain in another. Despite their significance, these domain-motif interactions (DMIs) are typically low affinity, which makes them challenging to identify by classical experimental approaches, such as affinity pulldown mass spectrometry (AP-MS) and yeast two-hybrid (Y2H). DMIs are generally underrepresented in PPI networks as a result. A number of computational methods now exist to predict SLiMs and/or DMIs from experimental interaction data but it is yet to be established how effective different PPI detection methods are for capturing these low affinity SLiM-mediated interactions. Here, we introduce a new computational pipeline (SLiMEnrich) to assess how well a given source of PPI data captures DMIs and thus, by inference, how useful that data should be for SLiM discovery. SLiMEnrich interrogates a PPI network for pairs of interacting proteins in which the first protein is known or predicted to interact with the second protein via a DMI. Permutation tests compare the number of known/predicted DMIs to the expected distribution if the two sets of proteins are randomly associated. This provides an estimate of DMI enrichment within the data and the false positive rate for individual DMIs. As a case study, we detect significant DMI enrichment in a high-throughput Y2H human PPI study. SLiMEnrich analysis supports Y2H data as a source of DMIs and highlights the high false positive rates associated with naïve DMI prediction. SLiMEnrich is available as an R Shiny app. The code is open source and available via a GNU GPL v3 license at: https://github.com/slimsuite/SLiMEnrich. A web server is available at: http://shiny.slimsuite.unsw.edu.au/SLiMEnrich/. 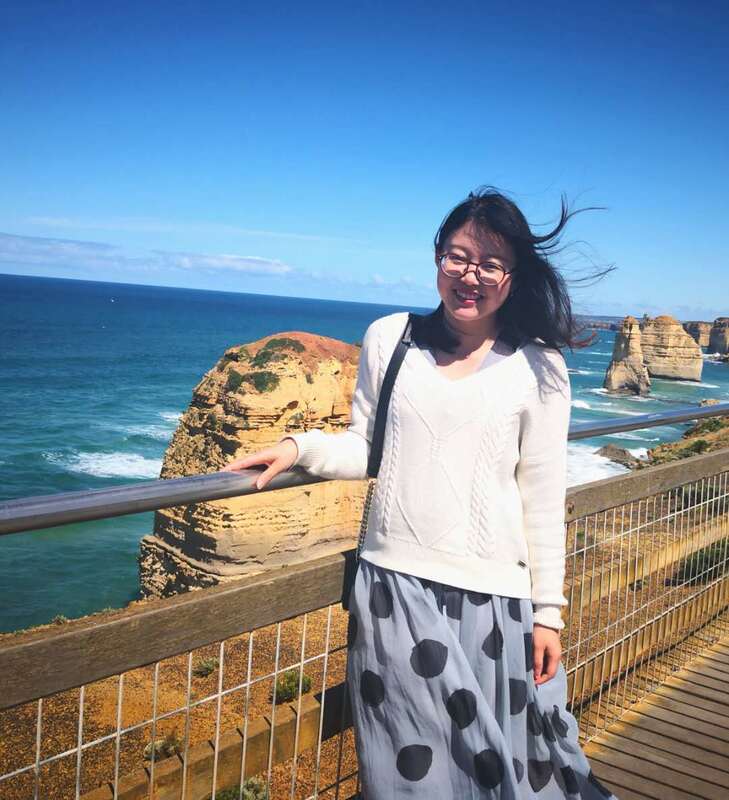 Ziying Zhang is a visiting Masters student from Wageningen University in the Netherlands. She got a bachelor degree with the background of bioscience at Hainan University, China in 2016. She started her MSc in bioinformatics at Wageningen University in February 2017. 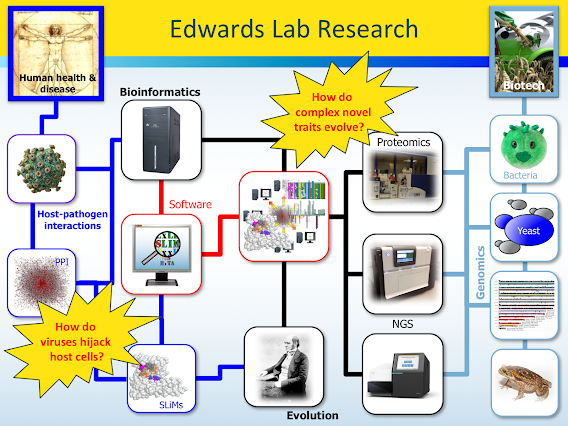 The project for Ziying’s Masters thesis focused on developing a downstream analysis toolbox for microbial diversity analysis, executing SPARQL to query RDF datasets of 16s rRNA before launching an analysis to simplify the pre-processing procedures. Ziying started an internship at the Edwards Lab at the end of October 2018, working on genome size prediction from kmer profiles. Her interests include genomics, genetics, bioinformatics, programming and data management.